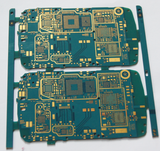 Founded in 2000,we are a leading manufacturer of PCB and PCB assembly, specialized in single-sided PCB, double-sided PCB, multilayer PCB, PCB design and PCB assembly. In years' development, we have built a strong technical team and until now, our employees is up to 1000,including 200 experienced engineers and skilled craftsman. Our manufacturing is strictly executed as ISO9001 and SGS certification while our quality products meets the standards of UL, and comply with RoHS directive. We could offer you PCBs of surface finishing with OSP, Lead-free HASL, Immersion Gold, silver, soft Au, nickel plating and gold finger, Immersion Tin, Peelable Mask. All process is lead-free. If you are looking for quality-assured electronic design, support and assembly services, you will find we can fulfill your needs. We provide you a full range of contract manufacturing services and we can take your product designs from concept to completion, for both small- and medium-sized orders. We sincerely care about our customers. They are the source of success. If you have any special requests, ask us. We will be happy to accommodate you. To learn more about our products and service, contact us right now.